Plans for the 9th Annual Valley Disaster Preparedness Fair Are Already Underway | Arleta Neighborhood Council Plans for the 9th Annual Valley Disaster Preparedness Fair Are Already Underway | Arleta Neighborhood Council | Making Arleta, CA the Greatest Neighborhood in Los Angeles. One Day at a Time. The Valley Disaster Preparedness Team, in conjunction with the Southern California Preparedness Foundation, is already planning the next Valley Disaster Preparedness Fair, which will be held on Saturday, October 1, 2016 at Fire Station 87 in Granada Hills. As you know, preparing the community for disasters is key to our survival when an earthquake or other disaster becomes reality. Last year, EmpowerLA, Neighborhood Councils, and other supporters came together to host the 8th Annual Valley Disaster Preparedness Fair. The Fair educated and informed attendees in an enjoyable manner and 1,000 families left with free Emergency Preparedness Starter Kits containing basic items and educational material to jumpstart their preparedness efforts. Attendees enjoyed a free lunch as well. If you missed the Fair, this video will give you a good idea of what it’s all about. In this year’s Fair we’ll bring back the favorite events and demonstrations, including the Red Cross Shakey-Quakey Schoolhouse and Children’s Safety Puppet Show, sidewalk CPR instruction, safety demonstrations from DWP and the Gas Company, the Speakers Series, and we’ll add new features as well. 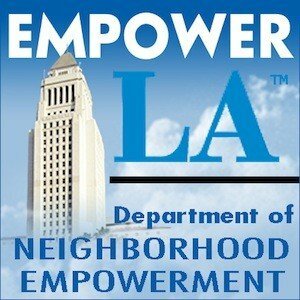 We sincerely appreciate the support and participation of the Neighborhood Councils and EmpowerLA in helping all our stakeholders get prepared for disasters. The 9th Annual Valley Disaster Preparedness Fair will take place on Saturday, October 1, 2016 at Fire Station 87 in Granada Hills. Online registration begins July 1. A Save The Date flyer can be downloaded here. For more details, visit www.ValleyDisasterFair.com or contact Bill Hopkins, Valley Disaster Preparedness Team Chair at [email protected]. Are you an Arleta NC stakeholder? Yes, I live in the Arleta NC Area. Yes, I work in the Arleta NC Area. Yes, I live AND work in the Arleta NC Area. Yes, I am part of an organization within the Arleta NC Area. No, I am not a stakeholder. © 2019 Arleta Neighborhood Council. All Rights Reserved.